Most notably included as part of the adidas Dragon Ball Z collection in two colorways reminiscent of the menacing dragon, Shenron, the EQT Support Mid ADV silhouette is understandably receiving an uptick in attention. 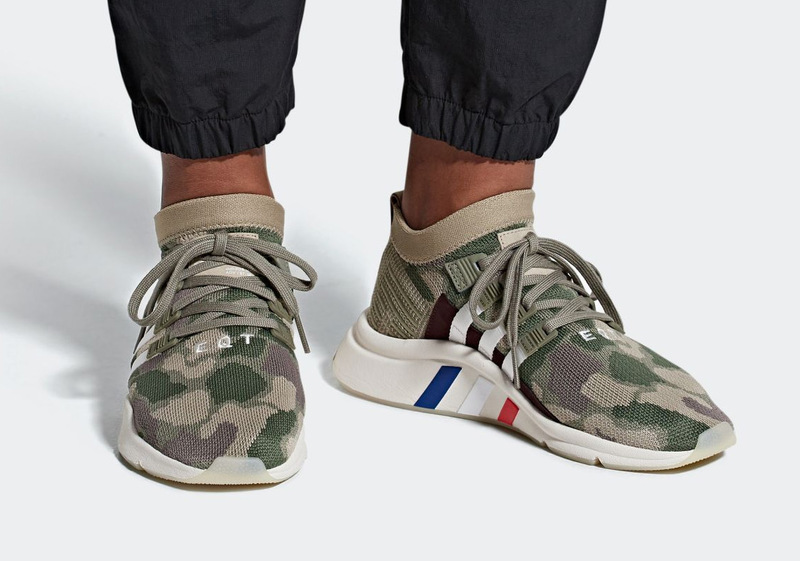 With those releases still two months away, the Three Stripes have turned their attention to GR variants of the nostalgic model, with the newest particular iteration coming done up in an attractive camouflage pattern. Opting for a fall-friendly woodland aesthetic, its forefoot combines green, brown and khaki for its forrest-like vibe, while Trace Khaki acts as the new look’s base, taking up the most real estate on its upper. White hits come on this ADV’s EQT branding as well as its Three Stripes, while a familiar red, white, and blue logo can be seen creeping onto its midsole. Those of you looking to add this EQT Support Mid ADV to your fall rotation can do so by logging onto 43einhalb right now, or by waiting for its Stateside release sometime this Fall.